The land on Clearwater Beach where the old Adam’s Mark Hotel once sat is, as of this week, officially a construction site. Several other hotel projects on the beach are in various stages of progress. Delk said he wouldn’t be surprised if three or four begin construction in the next 12-18 months. The current project at 430 N. Gulf View Blvd. is being developed by Ocean Properties Ltd., which manages and has an ownership stake in the Sand Pearl Resort, just north of the work site. The new, 230-unit hotel will rise 150 feet, with three levels of parking at the bottom. It’s slated to reach 15 floors (minus the 13th). The site plan filed for the hotel does not include a name or chain affiliation. Calls and emails to Ocean Properties were pending return. Its counsel, Katherine Coleof Hill Ward Henderson, said she was not aware of a name for the hotel. As far as completion, “They’re moving right along with permitting; I could see it being open by the end of the year,” said Mark Parry, a Clearwater city planner. 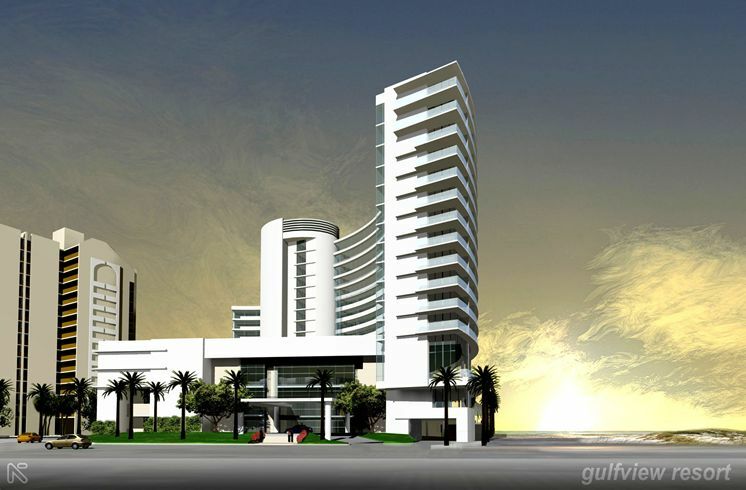 • Delk said that Wisconsin-based Decade Properties, which owns the Holiday Inn Gulfview on Clearwater Beach, got development approval to build a hotel on a parking lot north of the Holiday Inn. • Ocean Properties and JMC joined forces and applied to the city in December for a two-building resort totaling 282 rooms on the site of the former Holiday Inn SunSpree. The new project is called Marquesas. The first public hearing is Thursday. • Earlier this month, Dr. Kiran Patel announced he will break ground on his long-delayed resort/condo project on three acres south of Pier 60. The 700,000-square-foot project of 450 rooms will likely fly the Wyndham Grand flag. Also proposed for South Gulfview Boulevard, as reported in October by the Tampa Bay Times: The Views (202 rooms, 14 stories) from Enchantment LLC, replacing the Wyndham Garden; the Seaway Hotel (180 rooms), from St. Petersburg resident Tony Fernandez; a Hampton Inn & Suites (171 rooms). Eric Snider is a reporter for the Tampa Bay Business Journal.